Joel asks: Why do humans cry? 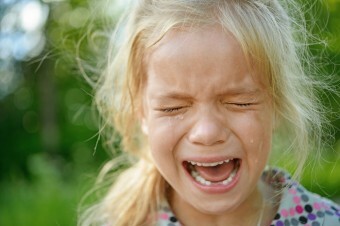 Anti-bacterial, nutrient-rich, usually involuntary and often stress relieving, crying benefits more than just our eyes. Contain water, nutrients and antibacterial components such as glucose, mucin (sticky stuff), lysozyme (antibacterial), lactoferrin (antibiotic), lipocalin (protein transporter), urea, potassium and sodium. Are designed to break down and eliminate eyeball-intruders like airborne dust [so] these tears tend to flow in greater amounts and probably contain a greater concentration [when compared to basal tears] of antibodies and enzymes that target micro-organisms. Where sadness is registered. The endocrine system is then triggered to release hormones to the ocular area, which then causes tears to form. Prolactin, adrenocorticotropic hormone (ACTH) and leucine encephalin (a natural painkiller) [and as a result] . . . research suggests that emotion-induced crying is therefore, at least in part, an excretory process which removes stress-related toxins. The topical application of NGF [nerve growth factor present in tears] promotes the healing of corneal ulcers and may increase tear production in dry eye . . . I suggest that tears bearing NGF have an anti-depressive effect that may modulate as well as signal mood. Crying improves the mood of 88.8% of people and it can also help with healing, boosting immunity and reducing levels of anger and stress. . . . Chemicals that build up during emotional stress may be removed in our tears when we cry. When other animals grow old, most no longer emit distress signals, presumably because it is too dangerous . . . By contrast, in humans there is a shift from the acoustic signal emitted in all directions, toward the visual signal of tears, which especially fit closer, more intimate interactions. Women cry (emotionally) “four times as often as men . . . an average of 5.3 times per month compared with 1.4 for men, with some women crying nearly every day.” Some attribute this difference, at least in part, to the prolactin in tears – a female hormone and protein that enables women to produce breast milk. Others believe the difference is explained by cultural forces and expectations.